Olympia Provisions Grande Good Food Award Winning Charcuterie Gift Box by Olympia Provisions at 365 Days Of Kindness. Hurry! Limited time offer. Offer valid only while supplies last. Gift basket full of Good Food Award Winning charcuterie from Olympia Provisions. Recognized for being American-made craft products that are both delicious and responsibly produced. All meat arrives whole, unsliced. 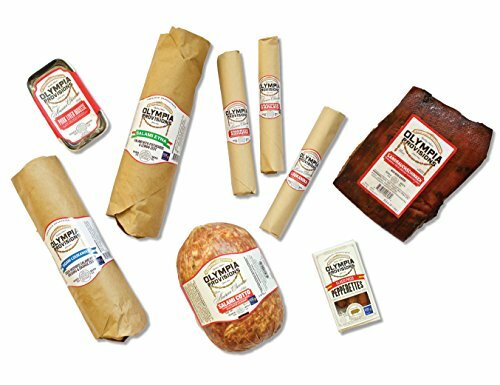 All meat is made with freshly ground spices and herbs, natural casing and smoked and cured in Portland, Oregon.